Please be forewarned that the audio lags on this screen-capture and so audio finishes before the references and end of the video. I think it’s still useful, but let me know in the comments. Thanks. EDCI-568 – Buffer App for Social Media from Jean Millheim on Vimeo. During my reading, I noticed that there is an emphasis on Professional Learning Networks or Personal Learning Networks (PLN) as I like to call them. 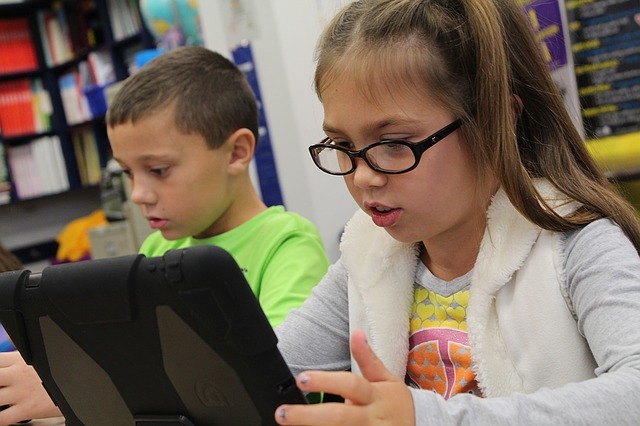 An article posted on 21 Things 4 Teachers (Professional learning networks: Using technology to enhance professional learning networks, n.d.), highlighted ways that technology is assisting PLN. I was intrigued to see that one of the paragraphs was about using social media to enhance your PLN. I have a Twitter account as well as a profile on LinkedIn. I like to have a LinkedIn profile so that when people want to know what my interest and skills are, they can go there and see what I’m about. LinkedIn has more of a professional aspect than Facebook, so I make sure that anything I post there is especially pertinent to my interests and professional development. The Twitter account has been a lot of fun these past three weeks. I used it mainly for business before this class and had heard that teachers should not get involved in social media. I was expecting to have to delete it at some point, so was pleasantly surprised to learn that social media can be helpful to educators. The one thing we know is that social media can draw you in and take all of your time. You get instant feedback in many cases, so it seems like a new friend who loves all the same things you do. Eventually, you realize that this is a virtual friend, and they are very needy! You can be on social media any time of the day or night and observe people posting, requesting, chatting, etc. So to incorporate a little more sanity to my day, I use a social media manager. The one I’m going to talk about today is Buffer App (Buffer.com, 2016). I have found that this interface is much more intuitive than other social media managers that I have used. I have been using the free Buffer App account. There is a paid version with many more features — which is entirely worth the price — but we’ll talk about the free features today. When you post to Twitter, you might feel like you are standing on the rim of the Grand Canyon and talking to the world. All of your wit is going out into the ether and falling down a black hole. At least on Facebook you can have a conversation. I liken Facebook to chatting over the backyard fence. If there’s something you want everyone to know, you write it on the wall of your house; visible to the world. If you want to have a conversation, that is visible to some, but not all, you set up privacy options. If you want to slip someone a note, you do it through the Facebook Messenger. Twitter, on the other hand, is like walking down the school hallway and saying “hi” to everyone as you pass. Maybe you’ll tell your history professor that you are reading “The Information: A History, a Theory, a Flood” (Gleick, 2012). “Let me check that out,” s/he says, and that’s the end of the conversation. Folks seem less engaged, so my aim on Twitter is to post things that I’ve found interesting so that when others follow my posts, they will get content that is worth their time. I never post just to say I did it. The twist is: “If you have nothing worthwhile to say, say nothing at all.” However, with your PLN in place, you will find plenty worth sharing. Buffer allows me to integrate three social networking accounts, which I’ve done. They allow me to set a schedule. I’ve decided that twice a day six days a week is enough for me. Now when I sit down and start reading about things that interest me, I can put them in my Buffer queue right then, but know that they will trickle out a couple a day during the week. I am therefore freed from having to check my social media accounts every day. What a big time saver! I can also cross-post if I want to, highlight the same article in my Twitter and LinkedIn accounts, for example. My Twitter and LinkedIn audiences seem different to me. Sometimes my Twitter audience seems just to be gauging what they can sell me while my LinkedIn audience seems more dignified and interested in me professionally. If I find an article I want to save for later, I’ll “pin” it to a Pinterest board,– but that’s a subject for another day. Be proactive about getting content that has not been shared a million times. I subscribe to some newsfeeds that are a little bit off the edge, but whose writers consistently find little-read news stories. Another tactic is to search your topic in Google, but navigate to the 3rd or 4th page. Being on the first page of Google is an exacting art, and the competition is fierce. There are many worthy stories buried in the beyond. When I decide to share an article I make sure that I have read it thoroughly. Make sure you agree with the author’s conclusions (or lack thereof). It’s as easy as cutting and pasting the URL into your Buffer App. Buffer will automatically schedule your posts into the program grid you have created. Buffer will shorten the URL. I like to include a headline because the “buf.ly” will not be descriptive. I add an appropriate headline (sometimes from the article itself) and any other handles or hashtags I want to include. Then click “Add to Queue” and you are set. As I continue to study throughout the week, I can add a bit more to my Buffer. There are apps for your phone and extensions for your browser. Since I share my iPhone and my computer with a six-year-old, I have not installed these. Instead, I choose to log in every time I want to use the Buffer App. Please note, that the video begins to lag at some point. The video continues through to the last screen that says “The End” even though the audio has decided to end early!